Are you a big fan of art? If you are and you’re coming to Paris you must check out our list of Museums You’ve Never of – Art Edition. Le Petit Palais is located near the Champs Elysees. It was built for the Universal Exhibition of 1900, like the Grand Palais in front of it. (Grand Palais holds only temporary exhibitions and special events). 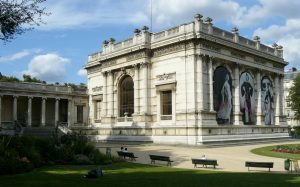 It houses the Museum of Fine Arts of the City of Paris. The 1,300 works in the museum (sculptures, paintings, tapestries, art objects, icons) offer a wide artistic panorama. After you’ve checked out masterpieces by the likes of Monet, Courbet, and Cézanne, be sure to check out the interior garden where you can go for a nice stroll. Price: The permanent collection is free, while the temporary exhibits require an admission fee. Hours: Tuesday to Sunday 10am to 6pm. Late night opening Friday until 9pm for temporary exhibitions. This Museum of the Romantic Life is located in the house of the painter Ary Scheffer. This museum recreates a historical setting evoking the romantic period. The ground floor is devoted to George Sand: portraits, furniture, and jewelry from the 18th and 19th centuries. On the first floor, Ary Scheffer‘s paintings are surrounded by contemporary works. Two annual temporary exhibitions are organized, as well as concerts, readings and activities for children. In the museum’s garden you’ll find the seasonal tearoom, a real haven of peace open from March to October, which is a great place for a tasty snack. Price: Permanent collections are free for all. Temporary exhibitions cost €5 to €12. Hours: Tuesday through Sunday from 10am to 6pm. 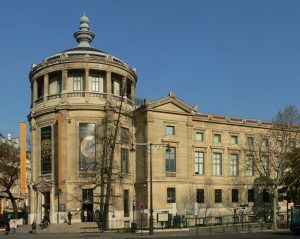 This museum houses the collection of 18th century art which was collected between 1900 and 1927 by Ernest Cognacq, founder of La Samaritaine department stores, and his wife Marie-Louise Jaÿ. Cognacq left these artworks to the City of Paris after his death. This collection offers a unique perspective on the Age of Enlightenment. Located in the Marais district, this museum is great to see and then grab a bit of lunch or dinner in this fun neighborhood! Moïse de Camondo, a reputed Parisian banker during the Belle Epoque, was a passionate collector of French furniture and art objects from the eighteenth century. This museum, named after his sons, houses his collection. In 1911, architect René Sergent was hired to build a private mansion next to Parc Monceau. The home, which is in original condition, offers an opportunity to discover the taste of a great collector and to get a glimpse of an aristocratic home. Hours: Wednesday through Sunday 10am to 5:30pm. Dedicated to the famous surrealist painter Salvador Dalí, you can see some of his most famous works at this museum located in the heart of the Montmartre neighborhood. There are both permanent and temporary exhibitions which feature Dalí’s paintings and sculptures. You mustn’t miss the famous melting clocks! Even though you might known the name we thought we’d include this museum just in case, since it is so wonderful. This museum holds some incredible impressionist and post-impressionist paintings. It is rather a small museum with the main focus on two oval rooms dedicated to showing off Claude Monet’s beautiful 8 compositions of water lilies (Les Nymphéas). The two oval rooms represent the symbol of infinity. This is a smaller museum that also has some specific special exhibitions. It can be found in the west corner of the Tuileries Gardens. Hours: Open from 9am to 6pm, except Tuesdays. 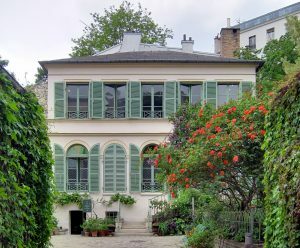 This impressionist museum houses one of Paris’ largest impressionist collections. 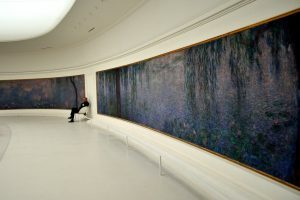 Claude Monet is just one of the famous artists you can see. His celebrated work Impression, Sunrise is viewable there. You can also find works by Renoir, Degas, and Gauguin. Definitely a must see! Hours: Tuesday through Sunday 10am to 6pm. Open late Thursday to 9pm. Dedicated to modern and contemporary art, this museum is located close to the Trocadéro, where many tourists take pictures of the Eiffel Tower from. This museum hosts only temporary exhibitions. Hours: Open everyday, except Tuesdays from 12pm to 8pm. 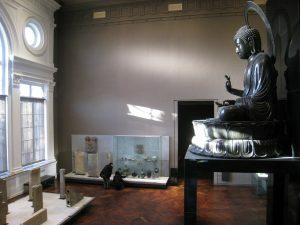 This museum was established in 1889 and continues to add to its fantastic collection of Asian art. The artworks go back up to 5,000 years. Here you will find Indian textiles, samurai swords, buddahs, and more. This is the largest European museum dedicated to Asian art. Don’t miss the Pantheon Bouddique where you’ll find a Japanese garden just a few meters away on Avenue d’Iena. An Asian art museum which has many fantastic works from China, Korea, and Japan. Henri Cernushi, a French banker, left his private collection to the City of Paris. We recommend you check out the Chinese artifacts from the Neolithic Period to the Sui Dynasty. 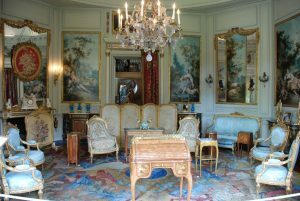 This museum is located very close to the Parc Monceau, a beautiful romantic park. The Museum of Fashion of the city of Paris. The collections showcase the changing fashion of Paris since the 18th century. They only have special exhibitions 2 to 3 times a year and the museum remains closed in between exhibitions. This is the house where Russian artist Ossip Zadkine worked and created his sculptures. This museum is close to the Luxembourg Gardens and actually has its own garden you can visit. Price: The permanent collections are free except during temporary exhibition periods. Does the history of France and its colonial past intrigue you? Visit these amazing Museums You’ve Never Heard Of – History Edition! This crypt exhibits archaeological remains discovered during excavations from 1965 to 1972. It provides an overview of the architectural and urban advancements and developments of the Île de la Cité, the historical heart of Paris. You can even walk through ancient ruins on which medieval and classical remains were build upon. The museum helps you to look at how this city has evolved in past years and has ever since been in an continuous state of reconstruction by unveiling layers of archaeological splendors. You surely have heard about the Invalides already…. But you surely don’t know a lot about the Army museum, which is in fact one of the museums hosted on the site! Located in the mansion that was built to house a hospital for the veterans of King Louis XIV’s wars (Hôtel National des Invalides), the Invalides now houses one of the largest museums of the military. Exhibits are presented chronologically in ‘historical’ collections ranging from Antiquity to the end of the WWII. Memorabilia includes emblems, paintings, and military decorations. With admission to this museum you can also go see the tomb of Napoleon I, which lies under the golden dome of the Invalides. Charles de Gaulle Memorial- An interactive multimedia space that pays homage to this famous French general and founder of the fifth French republic. Musée des Plans-Reliefs- This museum holds raised relief maps (3D models) which were used as military planning tools by the heads of state centuries ago. Various military models are present and visitors can have an aerial view of cities, their buildings and ramparts, as well as the landscapes near by. Not to be missed, especially as it’s a tiny museum which can take only 15 minutes if you are short of time! 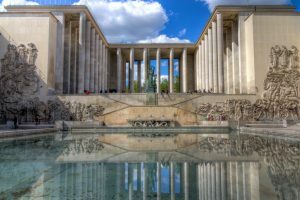 Musée de l’Ordre de la Libération – This museum documents the history of the French forces, De Gaulle’s manuscripts, various resistance movements, and the concentration camps of WWII. Over 4,000 objects are displayed including uniforms, weapons, transmitters, and flags. 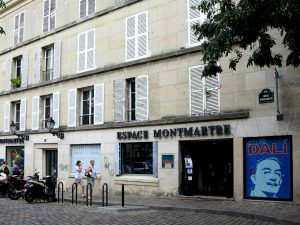 Displays the history of the neighborhood of Montmartre – how it used to be a hub for famous artists, numerous musicians and poets. 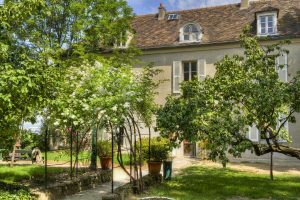 This museum also features many paintings, posters and drawings signed by Toulouse-Lautrec, Modigliani, Kupka, Steinlen, Valadon, and Utrillo. One of the most charming museums in Paris, the Museum of Montmartre was built in the 17th century and is the oldest building in Montmartre district. You can also visit the Renoir Gardens, which are dedicated to the famous impressionist painter who lived on site for several years. Did you know this building was taken as a model for the construction of the White House in Washington? It proudly displays French Legion of Honor awards and there is a special section devoted to foreign orders. Many objects related to Napoleon are displayed. Throughout the course of history, these visuals and objects epitomize the values carried which were intrinsic in this French order, and is representative of typical decorations during that time. Definitely worth going and only steps away from the Orsay Museum. This museum has many artifacts from the Middle Ages. The visit begins on the Boulevard Saint-Michel. Go back in time to the 14th century and find yourself in the amazing courtyard of the Hôtel de Cluny, built at the end of the 15th century. The collections have art from antiquity to Renaissance times and feature some noteworthy masterpieces, including the Pilier des Nautes from the 1st century and the six tapestries that make up La Dame à la Licorne series, dating from the 15th century. This museum is about the history of the city of Paris. It has preserved the remnants of France’s past. Some things to look at here: Lutetia’s (former name of Paris) long narrow canoes made from a single tree trunk, a beautiful 4th century bottle used for perfume, the model of the Île de la Cité from the 16th century, a well-preserved 14th-century sculpture of the head of the Virgin Mary, and so much more.